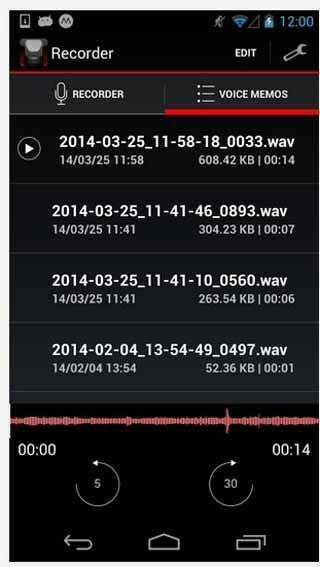 Free download Voice Recorder for Android with APK file. Download Voice Recorder new version from the direct link. It is a full featured best voice recorder for Android with stunning interface for business man, audio professional, sound engineer, journalist, lecturer, school/college student and anyone else who needs to manage voice memos. Long time High quality audio recording time (Tested up to 2 hours). Background recording (You can open other app while recording). Supports any OS(Mac,Windows,Linux, etc) to playback. Share voice memo by email and other apps. Supports external mic to record long distance sound. This feature is ideal for sound engineer, vocalist and journalist.